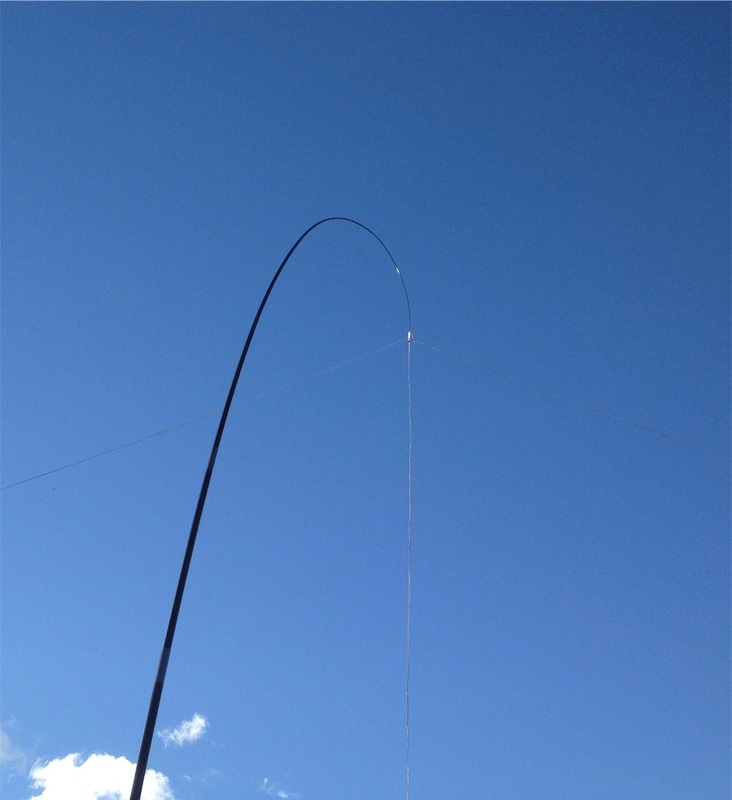 On the week-end I tested my new portable HF antenna – a simple doublet targeted at 40m. That is, a half wave dipole fed with parellel feeder. 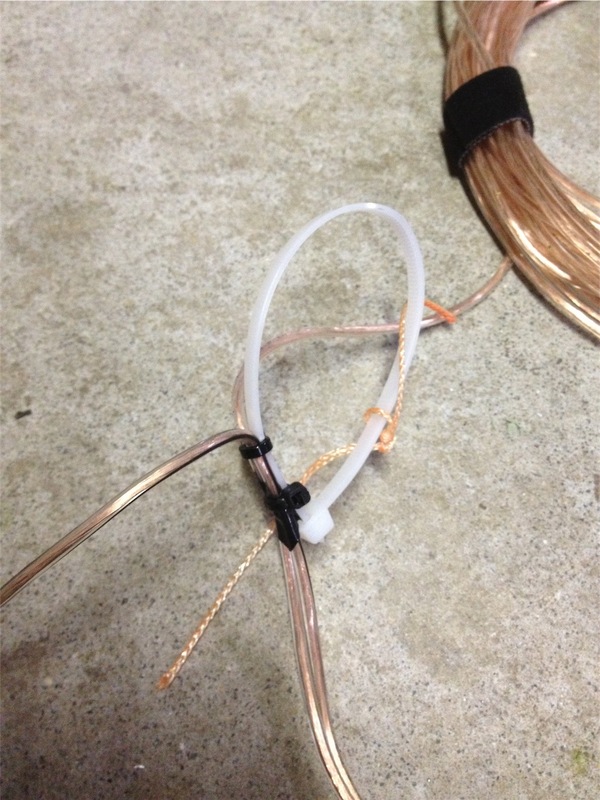 My previous portable antenna was an end fed inverted V – targeted at about half a wavelength of 40m. However I was finding that this antenna was highly dependent on a good earth connection, and sometimes portable this was a struggle. With the doublet being feed with a balanced line, it’s a bit more tolerant of poor earth and varying conditions in general. So for portable, it definitely seemed a better fit. Further, I saw it mentioned on the VK SOTA mailing list and after a bit more reading came across the NorCal QRP Club Doublet made from some 4 strand computer ribbon cable. I didn’t have any of that lying around, but I did have a roll of some figure 8 speaker cable from Jaycar. I was concerned about the weight of this cable (especially compared to the above mentioned ribbon), but it was on hand and something I could try pretty quickly. In the end although it’s a bit heavy, the squid pole seemed to tolerate it – but it could be good to do a lighter version and maybe use this one more in a tree. For the dimensions I kept it simple. 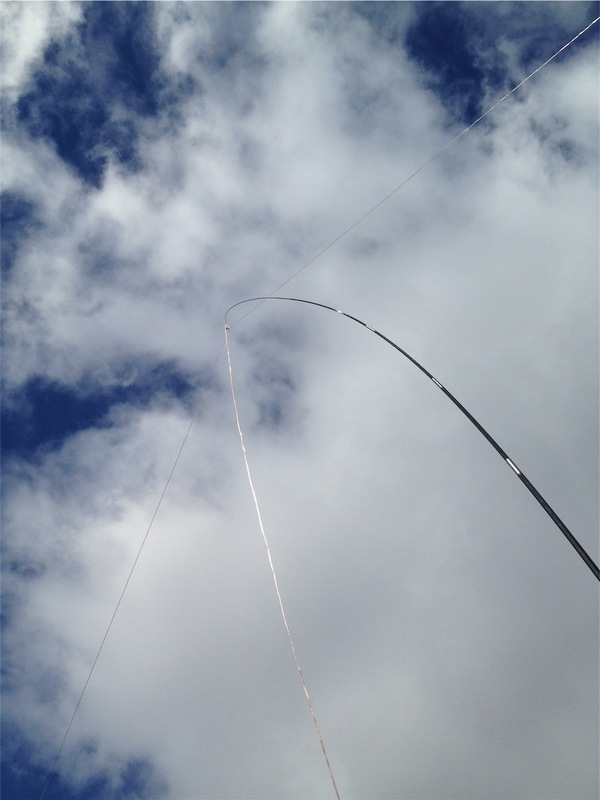 My squid pole is 9m, so that was the length I chose for the feeder section. 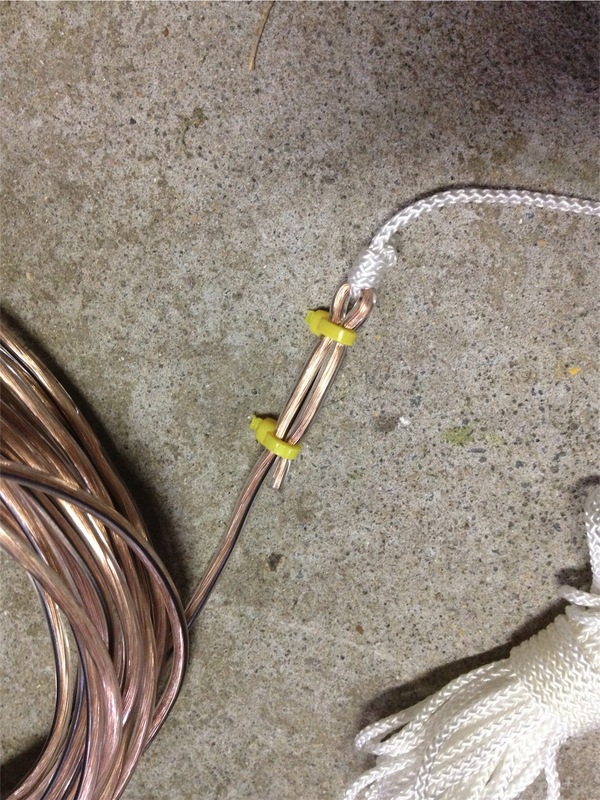 Then the idea was for it to be a half wave dipole for 40m. 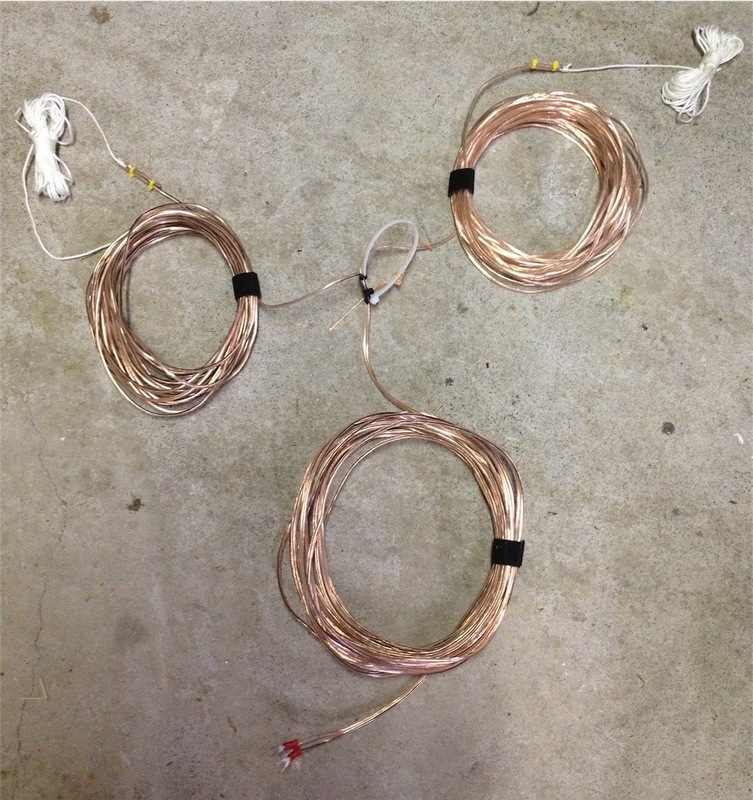 Having two legs from the one section (once split down the middle – being figure of eight cable) I simply needed another 1/4 wavelength of cable added to the 9m. This worked out at around about 9m plus 10.56m (aiming around 7.1MHz, but not too precise). To this, I also added 4cm to allow for folding back over of the end of each leg to form a loop for attachment. So all up, I had 9m plus 10.6m giving me 19.6m of wire to cut. Once measured and cut, I split the 10.6 down the middle and folded back the ends and held in place with cable ties and added some support rope/string. For the middle, I wanted to add some cable ties both to ensure it didn’t split further and also to add a larger cable tie as a support mechanism. Finally, at the end of the feeder section I added a couple of crimp connectors to feed into the balance connection on my portable antenna tuner. I also attempted tuning it on 80m (but not attempting to contact) and found that was possible, albeit with a reasonably narrow bandwidth. But that said, it was easy to tune on 40m and 80m where my previous end fed inverted V was not – unless a good earth was present. So, a good result and I’ll definitely be using this as my portable solution going forward. Although, I may attempt to get some lighter cable and make another (maybe some simple bell cable). 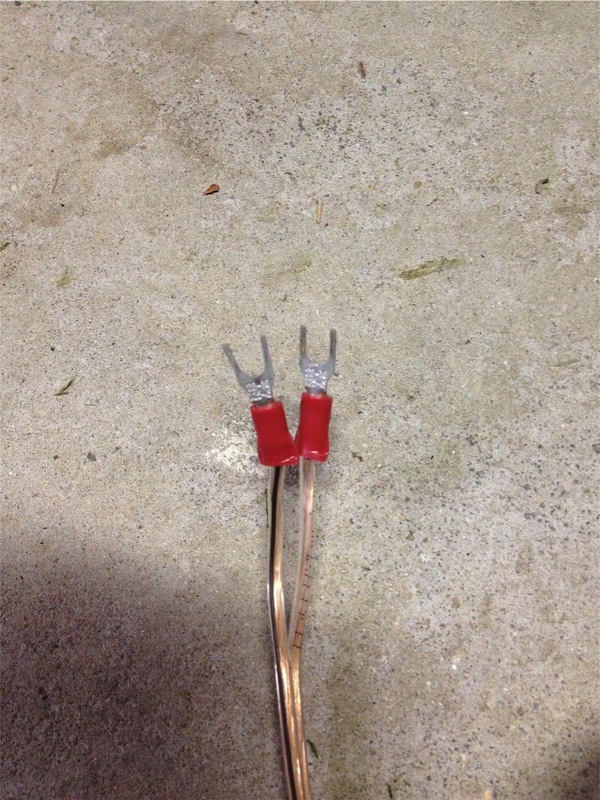 Just a finishing note – Above I detail that I simply cut this antenna based on calculations rounded up for 7.1MHz and then didn’t attempt to tune and recut for best SWR. This was because seeing I plan to use it in many varying locations and always with a tuner I thought I’d just keep things simple. If it was going to be a permanent setup, I’d do it differently. But mainly, I had limited time and just wanted to give it a go. My next one I may take out to a nice flat oval and set it up and then tune before finalising cable ties etc – and may also trim the feeder to best fit based on squid pole droop.